Cancer Services Network (CSN) relies on contributions from individuals, corporations, foundations and community organizations. CSN receives no federal or state funds or insurance reimbursements. Only 23 percent of our budget is used for administration and fundraising, so 77 cents of each dollar contributed directly helps cancer patients, survivors and their families and caregivers. Everyone who makes a donation will receive a receipt in the form of a personal letter that includes the date and amount of the gift received. As a 501C(3) not-for-profit organization, contributions can be tax deductible. Our IRS Tax # is 75-2794022. 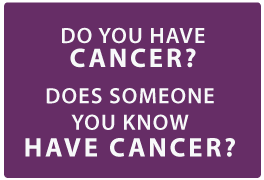 Visit our Donate page for more information and many more ways to give to Cancer Services Network. Cancer Services Network could not have served over 10,000 clients in nineteen West Texas counties without strong volunteer support. Our volunteer needs vary throughout the year. Thank you in advance for your desire to provide HELP and HOPE to those affected by cancer in our community! Cancer Services Network hosts special events including Fur, Fowl, & Fin for CSN, Fashions for the Cure, Run Together 5K/Walk/Waddle/Run and other fun events. Help is sometimes needed with preparations, set up, serving, organization, selling tickets, promotions, monitoring, and/or clean up or tear down after the event. Certain events in our community involve rigorous planning and preparations. We need committed individuals to chair a committee or subcommittee, and volunteers to work with those chairs to help put together events that raise funds to benefit CSN. If you have a heart for Cancer Services and you are looking to gain experience with event planning, promotions or donor relations, please contact us for more information on ways you can help. Volunteers are sometimes needed to help with general office duties such as filing client information, making packets, taking inventory or answering phone calls. Help is needed during general office hours 8:30-5:00, Monday through Thursday, 8:30-Noon Fridays. Volunteer hours could be on a fixed schedule or as needed. Cancer Services Network is supported by charitable gifts from individuals and corporations in our community. Each year, we host fundraisers to benefit our programs and services, and third party groups and organizations hold fundraisers to benefit Cancer Services Network as well. Contact us if you are interested in hosting an event, volunteering at an event, would like to donate goods or services for an event, or would like information on sponsoring an event. For more information about our events or to sign up to participate, visit our Events page.